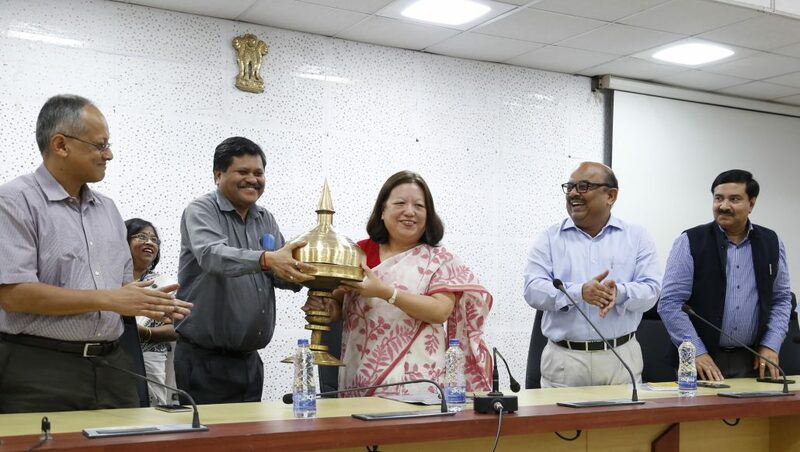 The Secretariat Administrative Department of Assam Government held a farewell meeting of Chief Secretary T Y Das who is retiring on Friday. In the 36 years of her service tenure, T Y Das, who had joined her service in 1982 in the UP Cadre, has served almost 30 years of her service period in Assam. In 1987 she joined in Assam as Deputy Secretary in Health and Family Welfare Department. In many of her tenures she had hold the post of Joint Secretary of T & CP; Additional Secretary of H & FW Deptt; Deputy Commissioner of Goalpara; Commissioner & Secretary of Soil Conservation Department, HAD, Education Department, Tourism Department, CM’s Secretariat and later as Principal Secretary of the same post etc. Later on in her service tenure she had also held the post of Additional Chief Secretary of PWD, Revenue & DM Department, AH & Veterinary Department, Home & Political Department etc, and also as Chairman of Board of Revenue, Administrative Tribunal and many other posts till her joining as Chief Secretary of Assam on March1 early this year. In her farewell speech, she thanked the people of Assam for their full support and cooperation. She extended her gratitude to the Chief Minister and all his Cabinet colleagues, and everyone who had been associated with her during her service period. The programme also bid farewell to Commissioner and Secretary, Panchayat and Rural Department, P K Buragohain who is also retiring on Friday. The farewell programme was attended by Chief Secretary designate Alok Kumar, Additional Chief Secretary Jishnu Barua, Additional Chief Secretary Rajiv Kumar Barua, Additional Chief Secretary V S Bhaskar, Commissioner and Secretary K K Dwivedi, Commissioner and Secretary Dr M Angamutthu and other senior officers and officials of Secretariat Administrative Department.